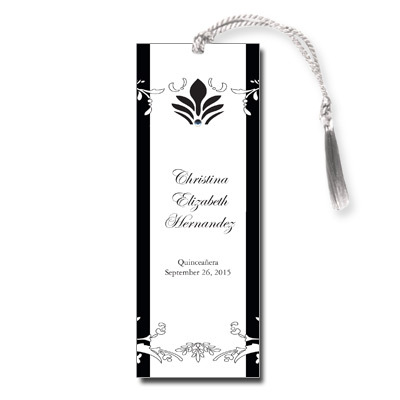 A stark black and white damask pattern frames celebration details in this bold yet formal Quinceanera keepsake bookmark. A jewel at the top adds sparkle. Bookmark measures 2x5.5 and comes with white tassels and stick-on jewels; light assembly required.